In this example , i would like to display Microsoft CRM Opportunities (In Progress) in sharepoint as Pie chart and “Legends” with the help of sharepoint webpart. I have two list which are having data from Microsoft CRM. Is your MSCRM_log file getting bigger and bigger? Have you ever considered looking at MSCRM_log.LDF? In order to overcome , one need to shrink the log database file. Remember to take the back-up of CRM database and then go through from these two figures. Right click CRM Database …Task…Shrink and then choose ….Files. Now one need to choose mscrm_log. This process will release unused pages. If logfile does not get smaller then you need to check the properties of Database if Option of “Full Recovery” is selected ? Change it to “Simple” and then shrink it. Remember to change it back to Full recovery once you are done . 1. 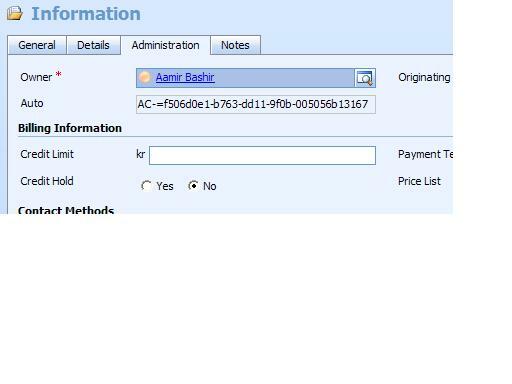 I have ASP.net page which is used to get the ID from Account through Request.QueryString method. 2. I will be using “Account No” from Microsoft CRM to retrieve the data from Dynamic C5. In the left panel i have “C5 Integration” as Account Left Nav Bar item. When user clicks it , ASP.net page gets the data from ERP System. It is simple “SQL Data Table” which is populated with the data from ERP system while passing the “Account No”. 3. If we select a row by clicking on “vælge” (select) then it will open the more detail about activities of Customer. Here i am passing the ID of one of the column in current row to get more detailed information. By using custom workflow , i will make Auto-numbering in CRM 4.0 . Account. As GUID is always unique , so there is no question about it being duplication. We can use prefix whatever we want. As one can see AC- (GUID). I will use cutom workflow to obtain the GUID of entity when it is created and then update the entity with the prefix+ GUID. //i am using custom field to hold the value of “GUID” . Finally we need to publish the workflow using developer tool and then calling the assembly from workflow. customer.There was expection while installig Microsoft Visual c++ Runtime . I tried with removing window XP SP 3 , re.installtion of .Netfrmaework version . But finally i got success after installing .Net framework 3.5 . Installation of MS CRM 4.0 on Citrix Presentation Server 4.0. It is quite easy to install CRM 4.0 on Citrix presentation server 4.0 compare to CRM 3.0 but every user need to configure the outlook client for CRM 4.0 unlike CRM 3.0 (in CRM 3.0 we need to click on script to configure the CRM for every user profile). citrix server and remember that they must not be any user on the server. desktop of each user via administrator profile . 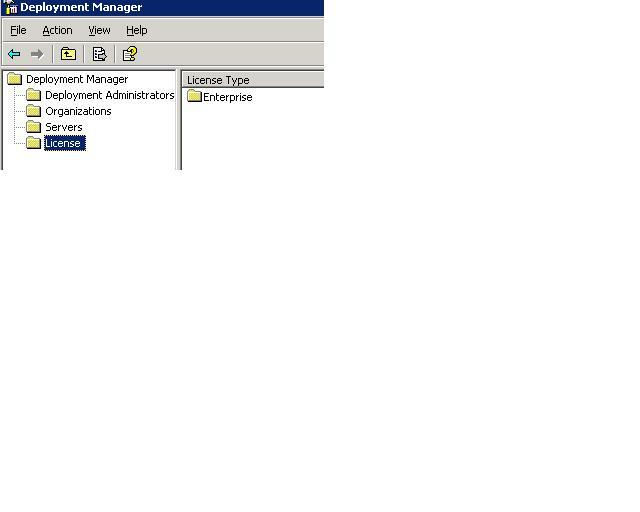 3 =Every single user need to configure the profile by using configuration wizard. 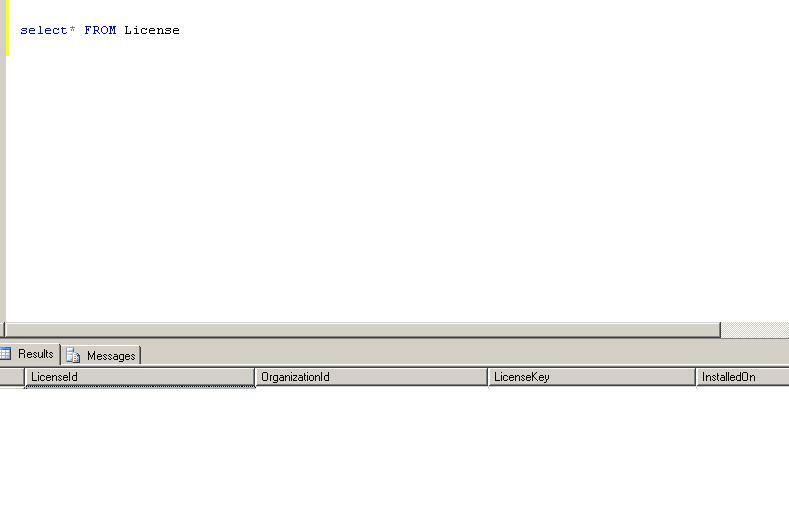 In order to find the more detail and real value of license key , please use the Organizationname_MSCRM ( default organization in enterprise edition) . Open the SQL server management studio and run the query . It will bring the all infromation one is looking for about key. PS” MSDN keys are not present in database”.